How did you put together this outfit? I knew it would be the last time I could don a dress sans tights, so I went for a simple cut that could be topped with a sweater. I always have to work to break my typical black, and that’s where the sweater came in. 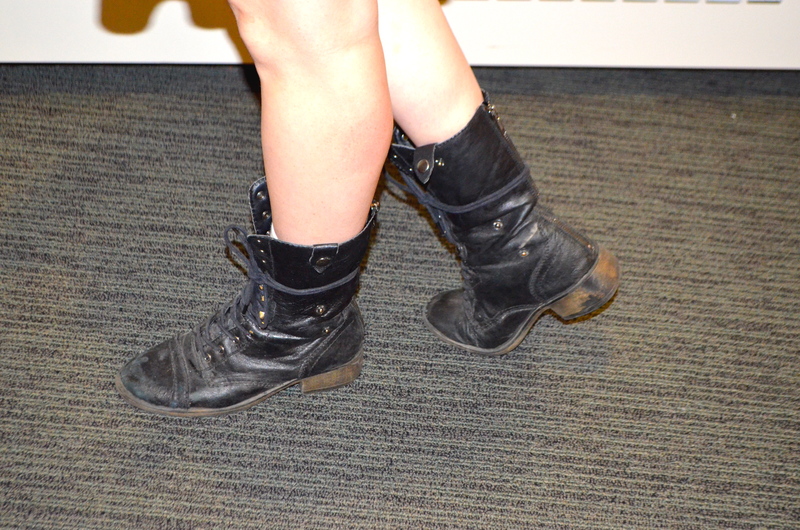 Lastly, I threw on my staple, lace-up boots. 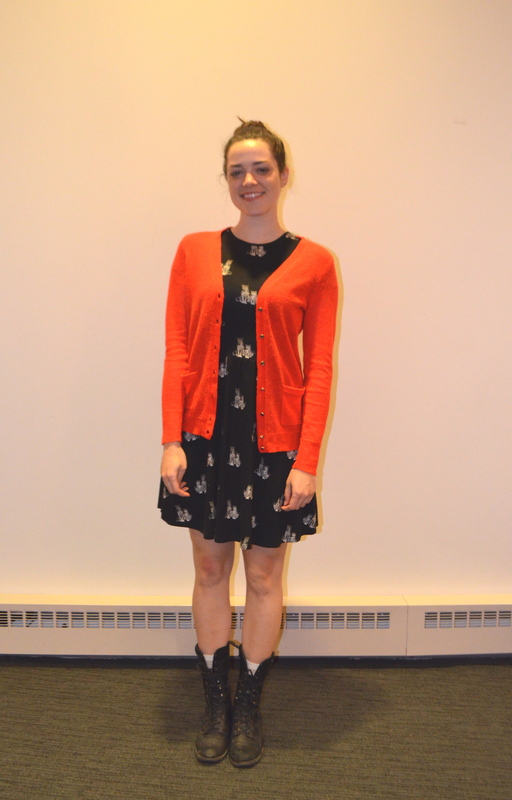 I think worn boots plus a flirty dress is the ultimate combination for crisp weather. Want a chance to be in the spotlight? Make sure to come to our general meetings on Tuesdays in 106 West Village G from 7:15-8:15 p.m. with a standout outfit.